Why did I make this? I set out to show what an iPhone could look like if it maintained a "chin" and "forehead." Most iPhone 8 concepts I've seen—while beautifully executed—either appeared top heavy or had a slit in the screen itself for the speaker. This last post on MacRumors really got me thinking what a symmetrical design for this would look like. Seeing this image (originally from iDropNews) got my creative juices going and I was off to make what you see below. Where is iCloud Photo Library? One of the biggest features planned for iOS 8 was iCloud Photo Library. When Apple first introduced iOS and the new Photos app in June, they unveiled a new solution to managing multiple photo libraries—this time moving the master library from iPhoto on your Mac into iCloud. Cult of Mac has a great overview of iCloud Photo Library and it's features. It was an amazing idea. Edits you make on your iPhone appear immediately on your iPad. Deleting blurry or underexposed photos on one device deletes them on all devices. And this includes videos too! And if your device is almost full, Apple showed an option that would keep originals in iCloud and only download a lower resolution reference—customized for each device—dramatically improving storage space for your photos. Then came Friday, September 12, 2014. Apple completely removed all references to iCloud Photo Library from their website. Why did Apple decide to pull these details? This left users with many unanswered questions. Was iCloud Photo Library still coming with iOS 8 down the road? 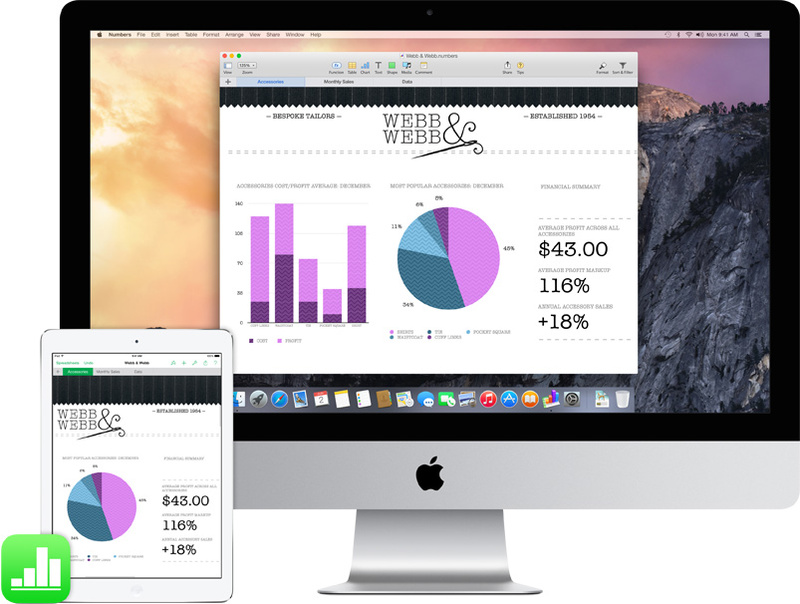 Were there features that needed Yosemite in October? Historically, Apple would add a label with a general timeframe: "Coming This Fall." They could have easily done this here. In October, SMS Continuity will be available as a free update to iOS 8 and iCloud Photo Library will be available as a beta. <meta name="Description" content="Every photo, every edit, every album now lives in your iCloud Photo Library, easily viewable and consistent on all your iOS devices. Automatically. I know when Apple finally releases iCloud Photo Library (hopefully bug free) that it will change how we work with our photos forever—in a good way. I'm not worried that my photos will be leaked or hacked. I just want my photos safe from a backup failure and easier to manage. To me, this is it. I'm definitely looking forward to it's final release—which could be any day now. PS: As of iOS 8.0.2, iCloud Photo Library shows up in the settings menu, but doesn't activate. It appears that the feature is still waiting for Apple to activate it on their servers. Before Apple launched iOS 8 to the masses on September 17, I knew it was going to be a bumpier process for users considering so many anticipated features require OS X Yosemite to work. And Yosemite wouldn't be released publicly for at least another month. I was very interested to see how the rollout of iOS 8 would work in light of dependent features still yet to be released. And to their credit, Apple has tried to explain their rollout timeline, but not as well as I'd hoped. Most people think I'm an Apple Genius with every answer, but this time around even I was stumped. On the main iOS 8 page detailing new features, Apple promotes the main features that are now available including Photos (just the app, not the service), Messages, Design (enhancements), QuickType, Family Sharing, iCloud Drive, Health, Continuity, and Spotlight. After watching the keynote introducing iOS 8 and becoming very familiar with these feature descriptions, I wanted to give everything a go on my own. After doing this, I've discovered that while most features work as advertised, some features don't even work—or haven't been released. After you upgrade your devices to iOS 8, you are prompted to move your documents to iCloud Drive now or wait until later. Apple clearly explains that your computer running OS X Mavericks or earlier and other iOS devices running iOS 7 won't be able to access iCloud documents once they migrate to iCloud Drive. Like many others, I skipped this at first. I wanted to wait until I had the courage to download the Yosemite beta to turn on iCloud Drive. This past weekend, I dove in and installed Yosemite on my main (and only) Macbook Pro, this time choosing to enable iCloud Drive. The process was easy and within 20 minutes, all my documents had moved from my laptop to iCloud Drive. Taking a closer look at my iPhone, I saw that iCloud Drive had been automatically enabled and documents were downloading. I noticed the same on my iPad. I was impressed that I didn't have to go to each device and enable iCloud Drive. It just happened automatically. After all my documents had synced, I decided to test a few documents in Pages. With my Macbook Pro, iPad and iPhone all in view, I could watch as changes I made on one device synced to the other without issue—just as it had done before. Great! I opened the iCloud Drive page and investigated more features and product shots, including the new iCloud Drive document window clearly shown on an iPhone and iPad within Pages for iOS. This is where I started to believe I had done something wrong. I didn't have the same view on my iPad or iPhone. But why? Some people have wrongly assumed this iCloud Drive window is an app—but it's a redesigned document selector window within an iOS app. After turning my devices off and on and turning iCloud Drive off/on, I turned to the Apple forums. I realized that many people were having the same issues without answer. Buried deep in a comment somewhere I saw a post that claimed Apple had not yet updated iWork for iOS to work with iCloud Drive. I confirmed this from low-starred reviews on the Pages app page itself. If that's the case, why is Apple showing off iCloud Drive fully featured now? I wasted a good 30 minutes wondering if it was something I did wrong. This has been a major goof on Apple's part, and I've written a lengthy post about it. I understand the reasoning behind removing a Camera Roll and My Photo Stream album (somewhat), but the online manual for iOS 8 clearly references an album named "My Photo Stream." Take a look at the section labeled, "Managing My Photo Stream contents." It does give me a little hope that they intended to keep that album around, but perhaps discarded that idea in the end. Now the blame falls on whoever proofs these manuals before they publish. I got a taste of some of these features working between my iPad and iPhone all week including answering calls, using Handoff (Bluetooth must be enabled), and the instant hotspot. After installing Yosemite, I wanted to dive into this a little more. Apple shows the SMS relay feature as coming in October, but everything else should "just work." Handoff is the only area I can say doesn't work as advertised—in some apps. Mail is the most impressive, letting you continue working on an email at the exact character you previously typed on any other device. It was almost magical. Safari will open the same page you have open on another device. Messages and Notes just open the app, without copying any new text added. After a minute, Notes will sync changes and then they will appear on another device, but it's not as seamless as the Mail Drafts. The most disappointing part of Continuity is iWork. Apple doesn't mention that iWork for iOS (not to mention iWork for Mac on Yosemite) hasn't been updated to work with Handoff. I was sure I could use Handoff between my iPhone and iPad while editing a Pages document. Apple's product images clearly show this working with a Numbers document, but as of today, it doesn't work. I knew some of these deep integrations between iOS and OS X would prove challenging for a staggered release. So far, I've been ok waiting on features. My biggest complaint and frustration have been purely communication or lack of it from Apple. I know that all of these issues will be resolved in the next 30 days, but I fear that 30 days will feel like a lot longer for some of us. Simplicity. One word that Apple can't use when describing the horrific experiences with the new Photos app in iOS 8. Every tech blog on the internet has written articles on the new iOS and described the features in depth. Why is it still so confusing? Users are crying out on social media asking things like "Why are my photos deleted?" and "Where is my Photo Stream?" No photos have been deleted at all, just the concept of Camera Roll and and tangible reference to your Photo Stream album. It hasn't helped that every tech website and blog have detailed their experiences with the developer release of iOS 8—with iCloud Photo Library as an option. I realize that when that's released, many of my issues (hopefully) will be resolved. I’ve had this feature enabled on my iPhone, iPad and Macbook Pro (iPhoto auto-downloads originals from Photo Stream). I definitely understand it’s quirks and workflow. I’ve encountered a bug in how photos from Photo Stream are sorted in the album Recently Added when Photo Stream is turned off/on on a device. Turning on Photo Stream will download photos that are still stored in Photo Stream (last 30 days), although not in any logical order. Previously, photos downloaded and were sorted by date. I have turned Photo Stream off/on multiple times trying to figure out the method in which they are sorted and they are sorted differently each time. Without the “every photo lives on every device” and “edits sync to every device” promises of the iCloud Photo Library, losing these albums now make it harder to know which photos live on the device and which photos only exist in Photo Stream. How do I know which photos are only showing up because they are in Photo Stream so I can make sure some are downloaded to the device for safe keeping? Editing on another device prompts me to “edit a copy” hinting that the photo isn’t on my device currently. If the albums for Camera Roll and My Photo Stream still existed, it would be easier to see which photos I would need to store before the 30 day, 1,000 photo limit was over. This goes along with Photo Stream. When deleting a photo on my iPad, I’m alerted that the photo will be deleted on all my iCloud devices. After deleting a few photos and returning to my iPhone, they still exist. Why? Well, iOS 8 attempts to remove the complexity of “a photo lives in Camera Roll on the device AND as a copy in iCloud in Photo Stream temporarily” nonsense. However, iOS still maintains that old methodology of Camera Roll and Photo Stream but removes any tangible reference to either. All user controls or views of this system have vanished. Before Apple removed all the details about iCloud Photo Library on the website, I was excited about its possibilities. Now that iOS 8 has been released without it, many details are becoming more of a mystery. I have no clue how Photo Stream is intended to interact with the iCloud Photo Library, or if it’s actually a bug that an album named My Photo Stream doesn’t appear when Photo Stream is enabled on devices. How are users supposed to interact with their photos now? When iCloud Photo Library is released, will Photo Stream still be an option? If so, what does it do? If it’s still the same as it’s been, then a My Photo Stream album would make the most sense. Enabling and disabling Photo Stream on devices would add/remove an album named My Photo Stream. I'm really hoping that Apple releases an update soon to sort out this complexity. How has your experience been so far? It appears that iOS 8.1 will address some of these issues and bring back an album called "Camera Roll" when iCloud Photo Library is turned off. This album will show just the photos taken with the device. If iCloud Photo Library is turned on, that album turns into "Recently Added" and only shows a 30-day snapshot of photos taken or added by other devices—a rolling snapshot of the Photos tab. To me, this is the best of both worlds. 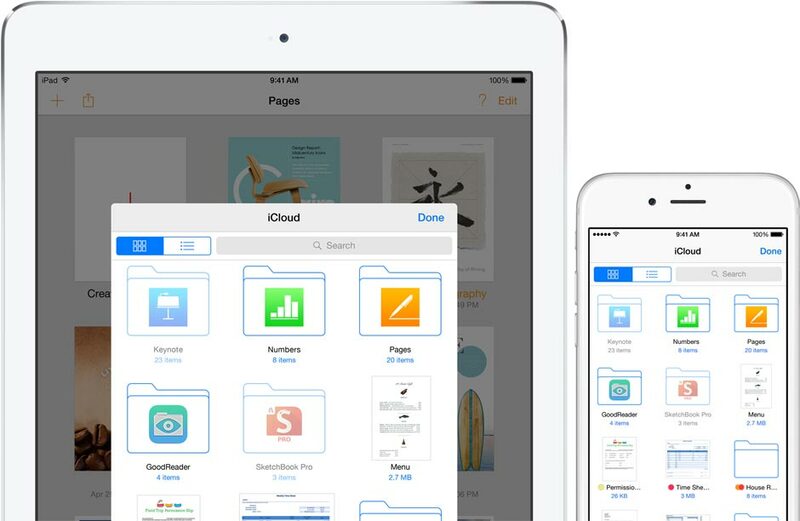 The new iCloud Photo Library is a single library that all devices can help manage. You won't care what device you took a photo with because all devices see the same photos. If you don't want to use iCloud Photo Library, then the smartest decision is to revert this new folder back to Camera Roll and function the same as it did before. My next request would be to show either a dedicated My Photo Stream album (which they could bring back) or a label/outline to show which photos in the Photos tab are local or in the cloud. An easy method would be to outline each photo with a 1 pixel border if it's not on the device. With the release of not one, but two new cameras at NAB 2014, current Blackmagic Camera owners have been going nuts over unreleased firmware updates for the full camera lineup. While many officials of Blackmagic Design are present at their booth, Kristian Lam was able to give some info on a future firmware release that's promised "within a month's time from today." Improved MFT lens support on the Pocket Cinema Camera. RAW support on the Production Camera 4K. There is no mention of three growing issues on Blackmagic Design's own forum and BMCuser.net: audio performance, black dot fix on the 2.5k and 4k cameras when highlights are overblown, and fixed pattern noise seen on some sensors in the 4k production camera. Many fans of Blackmagic Design, including myself, were pretty sure about this new firmware update happening in April. Now that we are well into May, the update could be coming any day now.